I am lazy when it comes to lunches. I find them difficult because I want something good, and usually I want something warm, but I cannot bring myself to make a long and complicated dish. 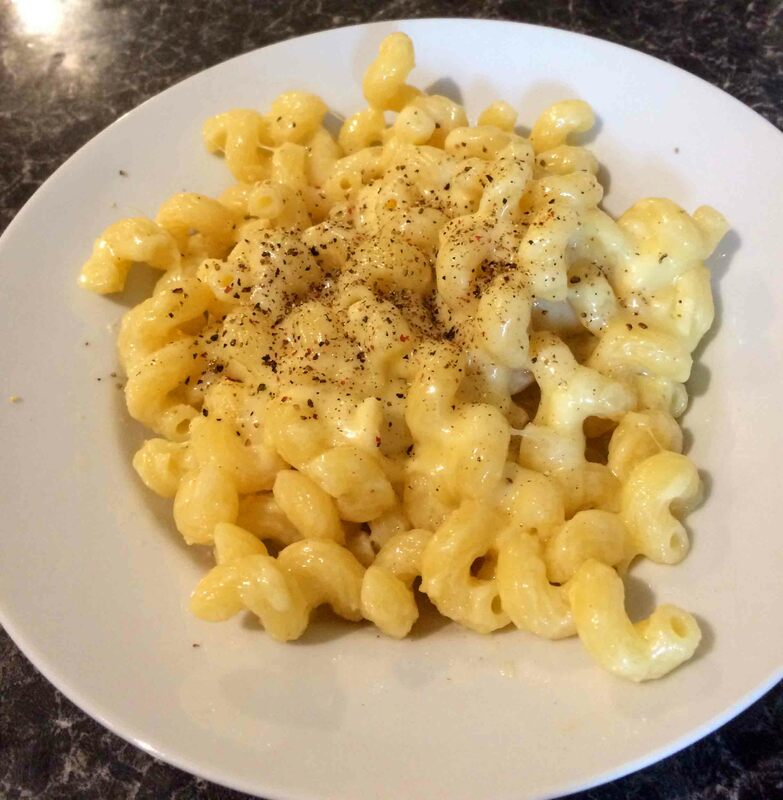 This is the quickest healthy recipe I have come up with to date. Yes, that is quite a thing because the majority of my recipes are designed to be quick and simple. However, this one has impressed me. It is mostly due to the fact that everything is prepared and all you really need to do is defrost and melt. 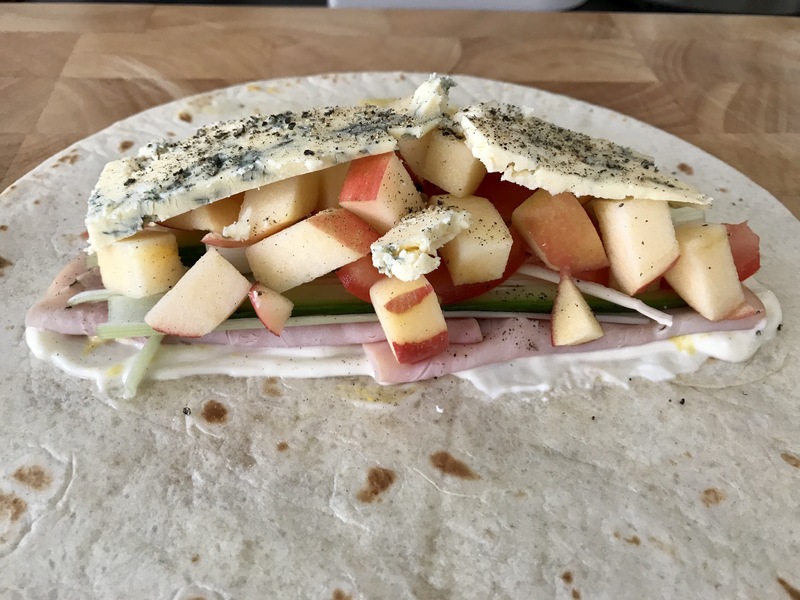 It is a great lunchtime fix if you don’t have enough time to make something complicated. The recipe is for 2, but can very easily be done for one. 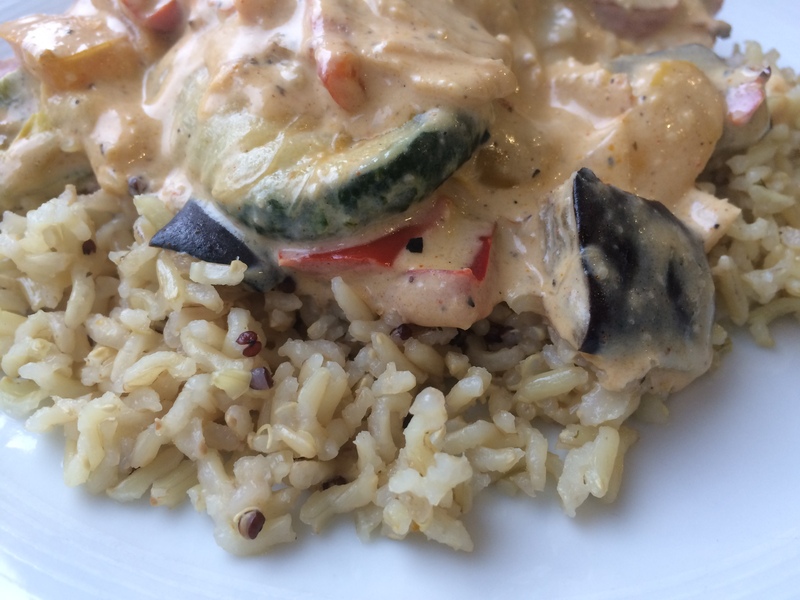 This recipe uses Waitrose Frozen Grilled Vegetables and Tilda Brown Rice and Quinoa which makes the cooking time a lot faster. The flavours are simple, and if you want to spice it up, using fresh herbs such as oregano, thyme, or basil, add them at the end. Let’s say, you are not as lazy as I am, and that you actually want to make your own grilled vegetables for this dish. You can make grill your veggies, and then store them in the freezer ahead of time. The vegetable mix that I used had – A mix of red peppers, yellow peppers, courgettes, aubergine, green peppers and onion in sunflower oil. The oil already in the packet meant that I did not need to add any more to the mix. Making this ahead of time and storing in your freezer (about a month in length, it is usually not good to go for longer than that) allows you to be able to quickly grab vegetables on the go. This is the same with the rice and quinoa. You can freeze rice ahead of time and have it ready for future use. There is a great post here – http://www.thekitchn.com/how-to-freeze-cooked-brown-rice-cooking-lessons-from-the-kitchn-177595 with instructions for this. 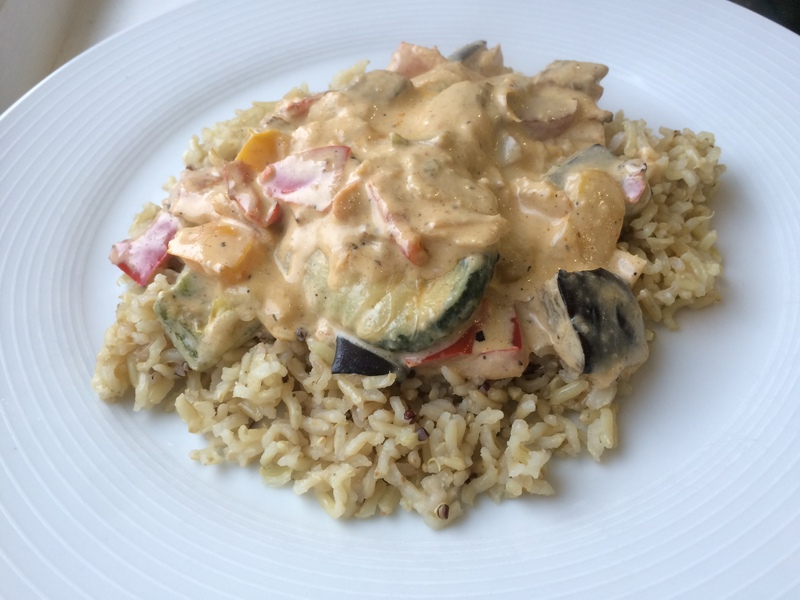 Grilled vegetables with cheese sauce and brown rice is a comforting delicious dish for even the inexperienced of cooks. If you are a loss for time, this recipe is about 5 minutes from start to finish. Step 2 When they start to defrost add in your paprika, cayenne, and beef bouillon cube. Step 3 Have your heat on medium to get a good momentum going. Step 4 Once you have done this, add a lid to your pot. This will allow the water from the frozen vegetables to come out and dissolve the bouillon cube. Leave it for about 2 minutes, you really don’t need to do much. Step 5 Stir the pot, add your cheese, and garlic. Step 6 Wait for the cheese to melt stirring all of the while. Step 7 Add the milk. I have given a suggestion for how much milk to add, but essentially this will dictate the thickness of your sauce. If you want to have a thinner sauce that will cover more of your rice, add more. Step 8 Once that is added, stick your rice in the microwave and cook it to the times prescribed on the packet. It really is just that easy, but it is a nice warming winter lunch.